Last week, ABC News’ RA article “25 Years in Arthritis: New Treatments, New Hope” came across my screen. I’m always looking to see how the media presents Rheumatoid Arthritis. Is it a chronic incurable disease? Or is it a minor annoyance best treated by exercise and a good attitude, as was the case with Woman’s Day last year? I don’t fancy myself as media police – more like a crusading warrior – with a smile and a sharp pen. 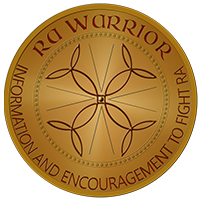 Seriously, as it says on my Welcome page, one goal of RA Warrior is to present a realistic version of Rheumatoid Arthritis to the world. The little list of goals on that page spontaneously rolled off my fingertips last spring as I typed my fourth post ever, answering a question about why I’d started blogging about Rheumatoid Arthritis and “come out of the closet” about living with RA. What happened to my comments on the ABC RA article? The first time I read the article, I posted a comment thanking them for accuracy in presenting Rheumatoid Arthritis as a disease. However, I politely disputed a point in the article and one of the doctors interviewed by the writer. Two days later, I noticed that my comment had been deleted. I posted a second sweetly worded comment pointing out that polite difference of opinion is not a reason to delete comments. Several hours later, the second comment was also removed. Then, I sent an email to the editors requesting an explanation. The only reply I ever received was an automated one saying to expect a live reply soon. Since this opportunity has been presented, I’ll respond to three aspects of their article. I cannot repeat what a friend of mine said after reading the article, but I’ll say that the article is more positive than a TV advertisement for a new RA medicine. 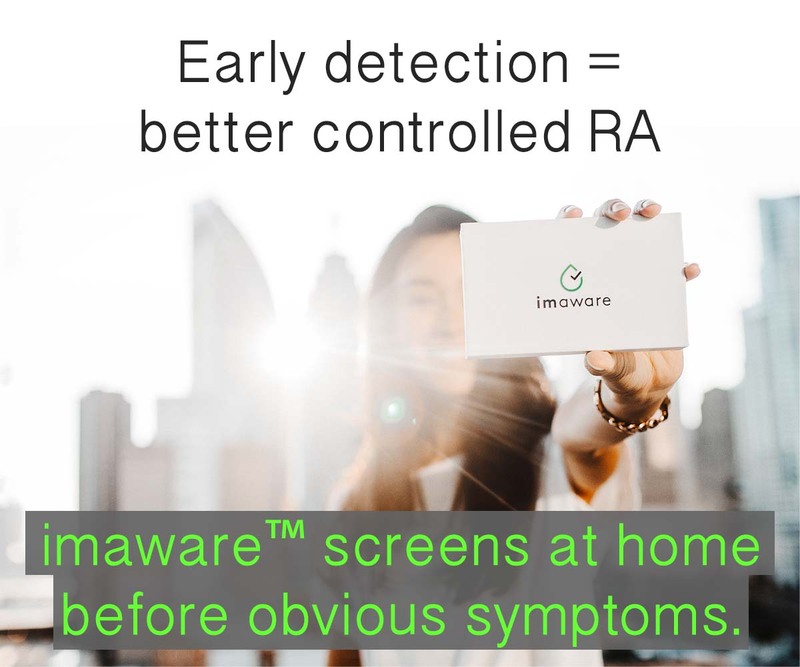 For example, “Today, although disease flares and progression can’t be prevented entirely, doctors can now tell patients to expect long periods of remission…” Does that sound like the same RA you know and love? One of the doctors they quote tells her patients that they have “an [approximately] 70 percent likelihood of having a response” to treatment. They do not define “response.” Would they be satisfied with ACR/ American College of Rheumatology 20 (roughly 20 percent improvement) or ACR 50 or 70? Are you? I particularly liked, “Life is still not a bowl of cherries for RA patients.” However, that is followed by “they will be much older when joint surgery becomes their best option.” I could fill a book with the surgeries caused by Rheumatoid Arthritis which have been performed either before diagnosis is acknowledged or soon afterwards in just the RA’ers who write to me or post comments on this blog. They contrasted today’s RA treatments with the past saying that in the past “Most patients would first receive either steroids or non-steroidal anti-inflammatory drugs (NSAIDs), but these do not slow destruction of the joints…” Every RA’er I know is still first prescribed steroids and NSAIDs. As a matter of fact, they are so commonly used to treat RA symptoms that doctors often miss an RA diagnosis because the medicines suppress the symptoms or skew test results. Even if doctors successfully diagnose RA, patients are often resistant to beginning disease treatment because the steroids and NSAIDs mask the severity of their RA. We have reported here about the demise of the RA treatment pyramid. However, it is fiction to believe that there are not many doctors still practicing by the pyramid. I regularly hear from folks who are treated in this fashion, at least for the first couple of years. I invite you to read the RA Onset Story pages if you are unaware of this reality. A couple of women messaged me about that on Twitter, wondering why they had not read that before. The reason is that it’s not right; it is not even wrong. It is void of fact. I was much more delicate last week on the ABC news site. But that was before they made me draw my sword. Blah! I get so tired of RA being watered down… this is why there isn’t a sense of urgency in the general public to find a cure – the media makes it look like aleve will cure your aches and pains (btw.. love aleve, not a knock on the drug, just it’s the final answer). Then you have doctors stating something as gosple when in fact, like you said Kelly, it’s a void point! It is hard for those who have NO clue of RA to understand the lack of fact within a trusted doctors statements (it can be hard for those with RA to see through the white coat and advise of a doctor). Generally just makes me sad – hopeful you get a “live” response from ABC, sure would be nice to know how your comments just disappeared! Thanks for your continued fight and for being a worthy spokeswomen for many of us who fight along side you! “void of fact”! That is well put! Yes, there’s something wrong when information that is easily obtained is not known by drs. I see this first hand too. Still puzzles me. There is more than sufficient proof today that early agressive treatment with DMARDs is the best strategy for RA. Numerous attempts have been made to evolve a triage startegy for RA wherein patients can be triaged & treatment decisions taken accordingly. All these attempts have been given up. The final verdict is not to underestimate any RA as mild & treat every RA agressively & aim for a remission right from the beginning. Thank you for commenting, doctor. It is unfortunate that there are plenty of docs who won’t give up “triage” RA treatments, although you are perfectly correct: academically speaking, it is given up for dead . I know many patients suffer because of doctors who cling to many wrong ideas about RA, such as this. what makes me mad about this the fact that he is generalizing all RA patients. He should clarify that people with severe, aggressive RA will most likely require joint replacements at an earlier age and HAVE even on these meds. I am not at that point but I know others who are. None of these doctors actually get to the “meat” of RA…like the day to day struggles it can cause even on these meds! Yes….we have come a long way in treatment the last 10 years but still….RA is definitely not a bowl of cherries in many ways…not just the illness but the expense. We need more people like you Kelly standing up for RA! Maybe I need to restart my blog too lol! I wish that guy could live in our shoes for a little while. I was told for 6 years by various doctors they couldn’t “figure out what was wrong with me”. Then, when I finally did have blood work, the conservative doctor decided I shouldn’t be treated until I “flare”. Once I did, it took a YEAR to get that flare under control – with prednisone, for a year! Needless to say that guy isn’t my Rheumy anymore and I have a great doc that treats my RA aggressively. The struggles of RA patients – this guy will never understand. He’s a waste of time! Oh, Krista, I’m sorry. That makes me mad. Did you read when I said I’d like to “loan” my RA for a short time to the top RA doc at ACR. I took some heat for it, but I can’t help but think with you that it would do a lot of good. Thank you, Kelly, for bringing out the truth, and, equally important, for exposing the false. Just wondering, why is it so hard to get “respectable” doctors and media to even listen to those of us who have RA? Why are they so nervous to hear that we are in pain, and that the outdated and false “information” they present needs revision (or, in many instances, complete OVERHAUL)?? 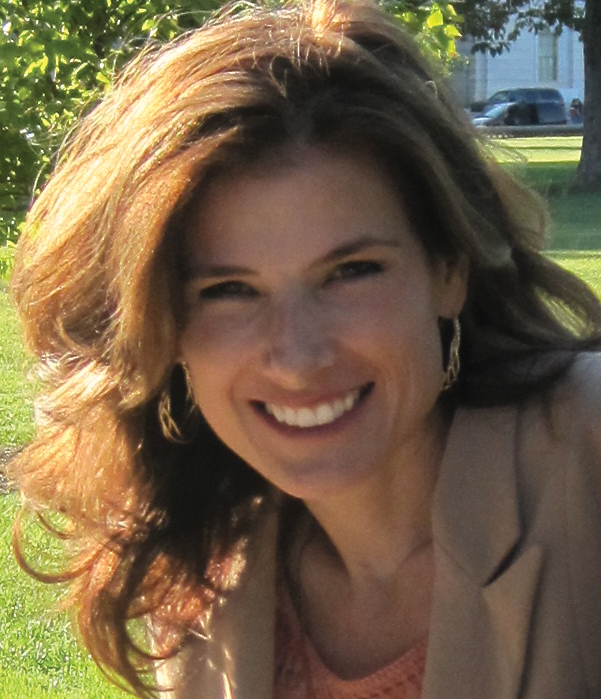 Kelly, you ARE a crusading warrior for the truth, and those of us with RA are blessed to have you as an advocate! Just unbelievable! Hey sign me up for the remission stuff! No wonder the funding for RA research is a 10th of what it is for OA. With the media whitewashing it all the time everyone believes its just a “take a few aleve and see me in the morning” kind of disease. 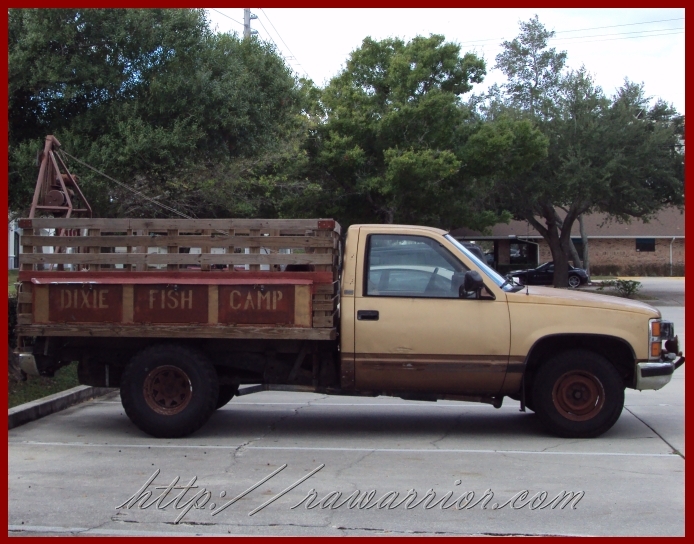 Thanks for getting the word out on this Warrior! My thought exactly. This is part of the problem. I think what aggrivates me is the video that was attached with the label “How to prevent rheumatoid arthritis” The article and video are irresponsible and do a great disservice to our day to day issues with this disease. The video ticked me off too. Watched twice. Ridiculous. Seeing this today really upset me; without proper acknowledgement of what this disabling disease can do–NO ONE will ever truly uinderstand what we are dealing with. It’s upsetting, it’s frustrating and it’s diappointing. Here are some facts about Arthritis; Arthritis is the MOST COMMON cause of disability in our country-costing the US Economy more then $128 BILLION every year, yet FUNDING for this debilitating, chronic disease falls far too short-BECAUSE of the misrepresentation of this disease! 1.3 Million Americans suffer from RHEUMATOID ARTHRITIS and not only does RA damages not only the joints but internal organs! We suffer from the financial burden and stress, emotional distress, debilitating PAIN and complete disability within 10 years of diagnosis! It seems to me that the people who are supposed to be fighting for us are ‘hiding us’ and the reality of our disease. I have had RA since I was just two years old-my joint damage is D O N E and will NOT be going into remission EVER AGAIN! Seeing this today really upset me; without proper acknowledgement of what this disabling disease can do, NO ONE will ever truly understand what we are dealing with. It’s upsetting, it’s frustrating and it’s COMPLETELY disappointing. Here are some little but HUGE known facts about Arthritis; Arthritis is the MOST COMMON cause of disability in our country-costing the US Economy more then $128 BILLION every year! FUNDING for this debilitating, chronic disease falls far too short probably BECAUSE of the misrepresentation of the disease! 1.3 Million Americans suffer from RHEUMATOID ARTHRITIS and not only does RA damage the joints but RA damages internal organs!!! We suffer from the financial burden, the stress, emotional distress, debilitating PAIN and can look forward to complete disability within 10 years of diagnosis in some cases! Sounds like a urgent matter to me! By 2030 70 MILLION Americans are expected to have some form of Arthritis-HELLO is someone listening??!?!?! It seems to me that the people who are supposed to be fighting for us are ‘hiding us’ and the reality of this TERRIBLE disease. I have had RA since I was just two years old-my joint damage is D O N E and NOT REVERSIBLE, I will NOT be going into remission EVER AGAIN and all I have to look forward to is joint replacement after joint replacement-not to mention the pain, the burden placed on family and the financial strain. I will probably lose my house soon because I am faced with disability! Where is the story in that??? As long as there is confusion between “arthritis” which everyone has and RA, the concern level will be the same: low. What can we do to separate “arthritis” from RA, other than call it RA as I like to…? I’m coming to share in this frustration…when I was dx in 2007, my perception was that of the TV commercials, and my dr. telling me I’ll be able to do things like I once did, in the near future. It’s total crap, which is fine – just tell me that. Just be honest and realistic about it! Kelly, I’m prob. a little late in reading some of these posts, but I’m as mad now as you were when you posted. Much older when joint surgery is their best option? That, my friend, was the most hilarious thing I’ve ever heard. Last time I checked, I’m not a dog. So, I hardly consider my bi-lateral hip replacement at the age of 19 to be “much older.” Good thing we’re all smart enough to know that the media is usually pushing some some of agenda. We all clearly have our own stories and to pretend that it’s anything less than a struggle is doing non-sufferers a disservice. Stories like this make our peers think that we’re all a bunch of hypochondriacs. Keep up the great work RA Warrior! The hypochondriac point is a good one. I am coming to doubt how well the doctors understand either. More on that soon. Doesn’t ABC have something else to distort besides RA? Honestly, I’ve lived with RA long enough that I am skeptical of any kind of news proclaiming “new hope”. I am not even convinced that remission exists, if it does, I would like my share of it. I’m now going to the bathroom to sit down and have a response. I’m sorry but the title of the video attached is absolutely WRONG!!! There is NO way to PREVENT rheumatoid arthritis any more than you can prevent a baby from being born with blue eyes. The video makes it sound like if you “just” lose weight, stop smoking, breast feed and the other obsurdities that you won’t get RA or that if you do have it, it will magically be put into the holy grail of RA sufferers…Remission!! Well, I’m sorry to burst someones bubble there….IT DOESN”T WORK THAT WAY! The article also refers to the early medications as being toxic but that for some reason, they don’t consider the current medications as toxic? This article does a real disservice to those of us dealing with this every day, fighting the perception of people that this horrible disease is just an “old person’s problem”. This is a disease that, because of it’s complications, can kill. 300,000 children have this disease and can’t use the “good” drugs because they can’t be tested on them. Just because we don’t look ill on the outside, just because we may feel good on A day doesn’t mean we are cured. I have had this disease for 18 years and would love to have a day at the beach like the misleading ads for RA medications. Please balance the overly optimistic with the real life. We aren’t lucky enough to have a “poster celeb” to help promote our cause so we are trying to do it with a great organization like the Arthritis Foundation. With the Jingle Bell Runs in November and the Walks in May, money is raised to continue research into curing the over 100 types of arthritis. If they could just darn get all this “translational” research to the clinic, it might help us a little more with the decision making on these expensive meds. Just how hard/expensive is it to test our blood for these cytokines anyway? I think the pharm companies have to big of a stake and are keeping some of the helpful research from actually helping us. Arthritis Rheum. 2010 Jan 28;62(2):392-401. Association of the response to tumor necrosis factor antagonists with plasma type I interferon activity and interferon-beta/alpha ratios in rheumatoid arthritis patients: A post hoc analysis of a predominantly Hispanic cohort. Mavragani CP, La DT, Stohl W, Crow MK. OBJECTIVE: Despite the substantial clinical efficacy of tumor necrosis factor alpha (TNFalpha) antagonist therapy in patients with rheumatoid arthritis (RA), some patients respond poorly to such agents. Since an interferon (IFN) signature is variably expressed among RA patients, we investigated whether plasma type I IFN activity might predict the response to TNF antagonist therapy… CONCLUSION: The plasma type I IFN activity, the IFNbeta/alpha ratio, and the IL-1Ra level were predictive of the therapeutic response in TNF antagonist-treated RA patients, indicating that these parameters might define clinically meaningful subgroups of RA patients with distinct responses to therapeutic agents. Click here to read entire abstract. Chelsea, I read this brand new study last week, too. This is new research. It’s not being kept from us. Hopefully, this will eventually be something that can be measured in patients in the clinical setting. This is good news. It’s not the study itself that I was saying was being kept from us – it’s the technology to measure all the cytokines that has somehow never made it to the commercial market where perhaps docs could use it to help make decisions on treatments. They’ve been studying these cytokine levels for some years now, and granted the meaning of them is still controversial, but not in all diseases, but you don’t hear people saying I have to go get my interferon gamma levels checked at the docs. Haha. Right. But, I think that’s because using them as accurate predictors is still too new. When someone can market a reliable test to predict anything about RA or which med will work best… they will because for one thing, they’ll make a killing. Maybe they’d make a killing, maybe they wouldn’t. Depends on the very specifics involved. I don’t know about one test being able to predict which of the many would would work best, but if it ruled out a class of drugs, say TNF inhibitors, the pharm would potentially have a large number of potential patients cut out of their future potential revenue streams. Say if the TNF inhibitors were to only work really well (say ACR 50 or ACR70) for only a certain subset of newly diagnosed and of recent-onset patients. In the meantime there are other classes of drugs being developed that may help the larger subset of long-time RA’ers whose cytokine profiles are very different. If that relatively cheap test comes to market they might wind up driving a large subset of patients to a competitor. And obviously, there are a multitude of other, many non-scientific variables that would/could come into play. So it would just depend on the specifics of the situation. ‘crusading warrior – with a smile and a sharp pen’ — best described our Kelly here. 🙂 I believe that’s the difference between a white coat and a person who actually experiencing R.A.
See the following abstract regarding response to NON-biologic DMARDs – where time frame of starting the DMARD from time of onset of symptoms didn’t make any difference on effect, at least during the first 15 months. However, many who start with a more slow, insidious process may go much longer from start of symptoms to start of NON-biologic DMARD. Waiting to see results on the more recently diagnosed who are hopefully getting benefit from starting biologics nearly right away, but again…see all the above comments. J Rheumatol. 2010 Jan 28. Equivalent Responses to Disease-modifying Antirheumatic Drugs Initiated at Any Time During the First 15 Months After Symptom Onset in Patients with Seropositive Rheumatoid Arthritis. Weng HH, Ranganath VK, Khanna D, et. al. OBJECTIVE: To evaluate responses by time to initiation of nonbiologic disease-modifying antirheumatic drugs (DMARD) in a DMARD-naive cohort of patients with early seropositive rheumatoid arthritis (RA)… CONCLUSION: Following initiation of nonbiologic DMARD therapy at various times within 15 months of symptom onset, improvements of DAS-44, HAQ-DI, remission rate, and radiographic progression rate were similar, although higher baseline erosion scores were present in those with later initiation of DMARD. Chelsea, maybe I read the conclusion wrong, but I thought it meant that, although dmards worked just as well if postponed, the baseline erosions were higher without treatment. Erosion means damage which is not reversible. It’s just my layman’s reading of it. But, I think the point is that it’s never too late to start treating. Makes me think of Stephanie whose story is here. Even though her RA made her voiceless for 5 years, medicine helped her to improve when it was begun. No, it’s never too late to start treating – but disappointing to see it doesn’t “appear” to make much of difference between those started early after symptoms versus those started later after symptoms – which might make those LESS aggressive docs a bit more comfortable in their own shoes, to the patient’s detriment. It’s been a long time since I’ve come across something specifically looking at erosions, but I’m sure I’ve seen at least a couple where some erosions actually “appeared” to have been healed after starting treatment, and I’m sure one of those was on methotrexate. Don’t recall if it was comparing to another drug, and may have just been a single case report. And I’m sure it didn’t address implications. Kelly, you are awesome, keep fighting the good fight and remember about that karma and that dogma 😉 Sending love and good joints/obedient robots your way! Thanks for posting this article and telling us about your experiences. I can’t believe they deleted your comments. That’s just disrespectful. Please let us know if they offer you an explanation. I’d be curious to see what they have to say. Rats, I just lost the link- in ‘ Googling ‘ information on why in blazes my 2 decades worth of RA has suddenly become worse, came across an ‘ educational ‘ article intended for primary care docs. Here’s a new one. In helpfully identifying RA patients, ” Lower socio-economic scale, smokers “. No, really. I could not find where this fellow pointed out the little white painful lumps on your knuckles my own doc could not identify- and the lab could not, when removed and sent for testing. Huh. Lower socio-economic…… new cure for RA? Get a raise.